Exploring Scripture through creative writing. Church history is the record of God’s tenacious grace—growing and abounding in the hearts of imperfect people just like us. As we study the challenges of Christians in centuries past, we can better appreciate God’s work in our own era. In this history-laden Bible study, students will . . . This material is designed for adults and upper highschool teens. 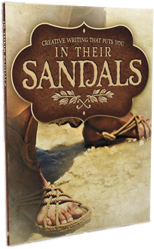 In this history-laden Bible study, your students will . . . Easily present notes from the Teacher Manual while reviewing material from the Student Manual. Using the pre-formatted slide layouts and text, you can also adapt the presentations with your own pictures and lesson content.